How can we continue to inspire students to give 100% while practicing their text-based writing skills so late in the school year? Why, candy extrinsic motivation of course. Let's be honest. 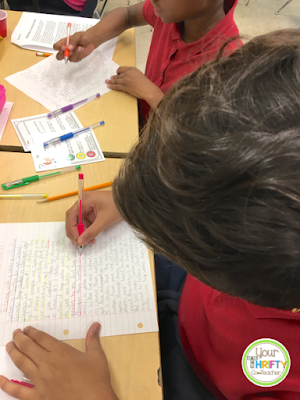 Getting eight, nine, and ten year olds to write a well developed, multiple paragraph essay, after reading and synthesizing multiple nonfiction texts, is no easy task. It takes lots and lots of practice, plus lots and lots of motivation. By the time the end of the year rolls around, and preparation (for high stakes testing) has been going on for months, motivation to write can begin to decline. This is what happens in my classroom pretty much EVERY...SINGLE...YEAR...IF I don't think outside the box. This year, I decided to change it up a bit, and boy, oh boy, did we see a change. What did we do differently? 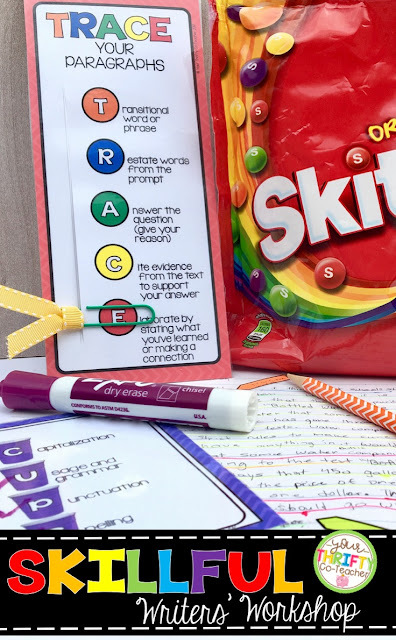 We incorporated colored candy extrinsic rewards into our Writer's Workshop. Answering the question is usually the quickest, so we assign it the green 'go' color. Citing takes a little more planning, so we assigned it the yellow 'slow down' color. Elaboration is always the trickiest and takes the most thought, so we assigned it the red 'stop' color. Restating from the question or prompt is assigned blue. Since the start of the school year, we have been color coding our writing. 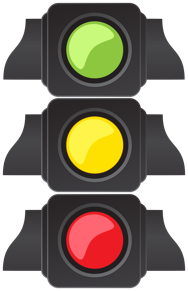 We first started with the concept of the "reverse" traffic light (green, yellow, and red) and the acronym A.C.E. (answer, cite, and elaboration). 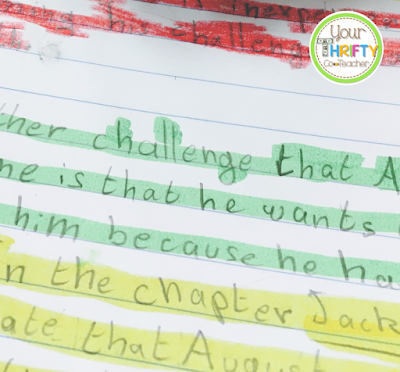 Each time students respond to a question or prompt, they go back and underline each part of their answer with the corresponding color. Later on in the year, we add two more colors. Now, using colors to code our text IS motivating, but as the year progresses, we need even more motivation. Therefore, in February, I planned our first Writer's Workshop. 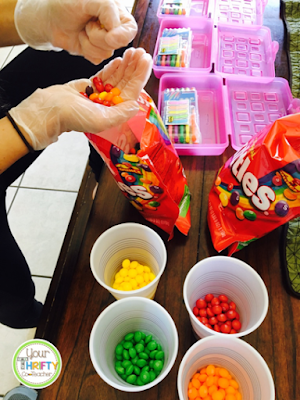 Then, with help from my daughter, Skittles were sorted into cups in order to make it easier to distribute later in class. The day of the Writers' Workshop, students were randomly divided into groups of four. 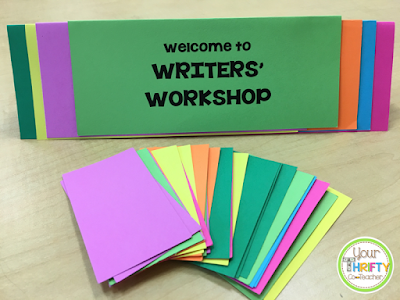 As they walked into the classroom, they were give colored cards, and asked to go to the Writers' Workshop table that corresponded to their color. The class was then given a prompt to read, and a paragraph that partly answered the prompt (it provided one reason and support to the prompt). 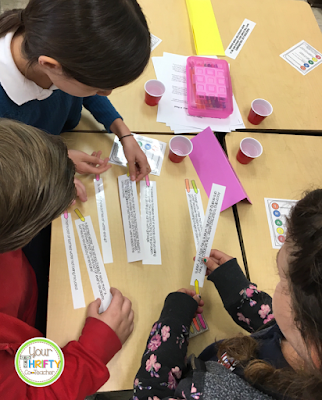 The paragraph was cut into strips, and the groups had to place them in an order that made sense, while also labeling them with the corresponding colored tabs. Once most of the groups were finished, we discussed what the best order was for the paragraph. Students realized that T, R, and A need to be first, but Citing and Elaboration could be organized in a couple of different ways. This showed them that responses should have T.R.A.C.and E., but do not need to be formulated. Next, the groups were asked to reread the prompt and come up with a second paragraph answering the prompt. They had to work as a group to write a paragraph that included as much supporting evidence, transitions, and elaborations as possible. 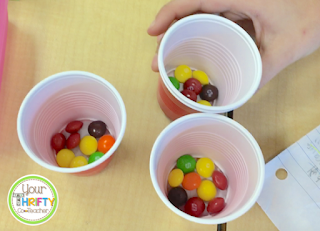 For each tab they incorporated, they would receive a corresponding colored Skittle. 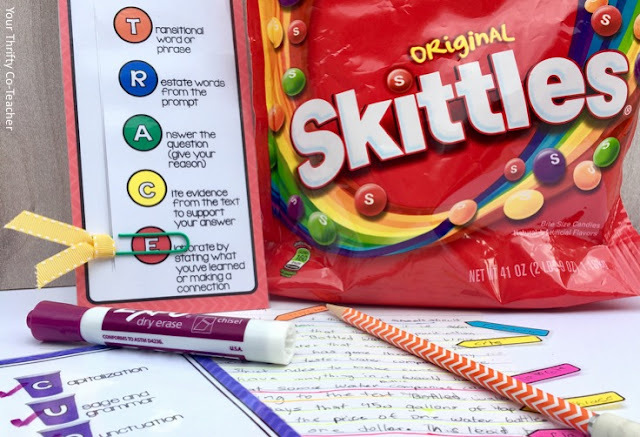 Needless to say, the word "Skittle" truly had them trying to make their paragraphs as "COLORFUL" as possible. You can only imagine the collaboration that was going on in order to incorporate as many details as possible. To say this "Writer's Workshop" was a success is an understatement. The students paragraphs were above and beyond what I would have expected, and of course, they were inquiring when we would be able to have another "Writer's Workshop." I will DEFINITELY be incorporating this again in my class next year. 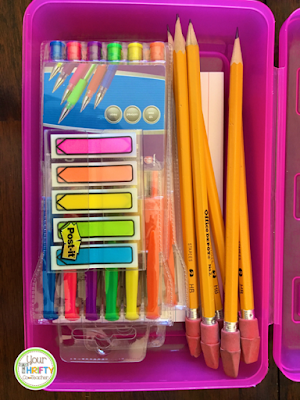 If you are interested in trying this out in your classroom, and would like a set of interactive TRACE cards, you can find them HERE.